Solarez Polyester UV Cure Grain Sealer is ideal for a wide variety of common woods. 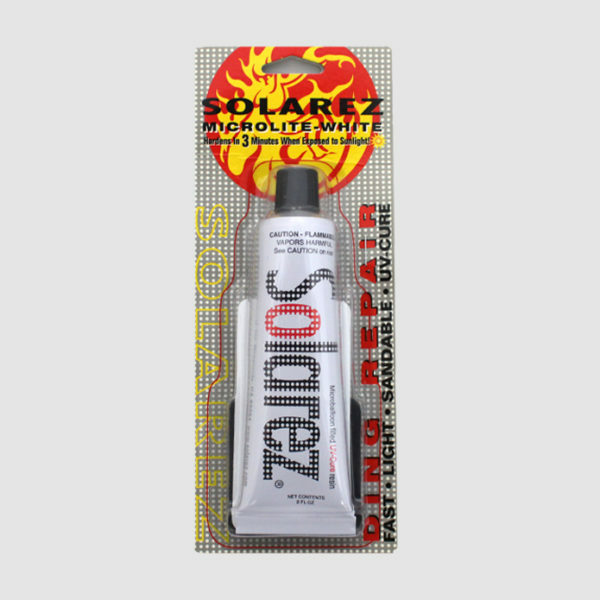 It cures in less than 5 minutes with exposure to natural sunlight or artificial UV light source. It’s suitable for application on most any wood, from hardwoods to thermally modified woods and even composite materials. Polyester UV Cure Grain Sealer is easy to use and can be applied with brush, roller or make-up pad. The 100% solids finish cures by chemical reaction and require fewer coats to fill open grain woods. You will have less shrinkage than solvent-borne or water-borne “evaporates” – sealers that cure by drying. 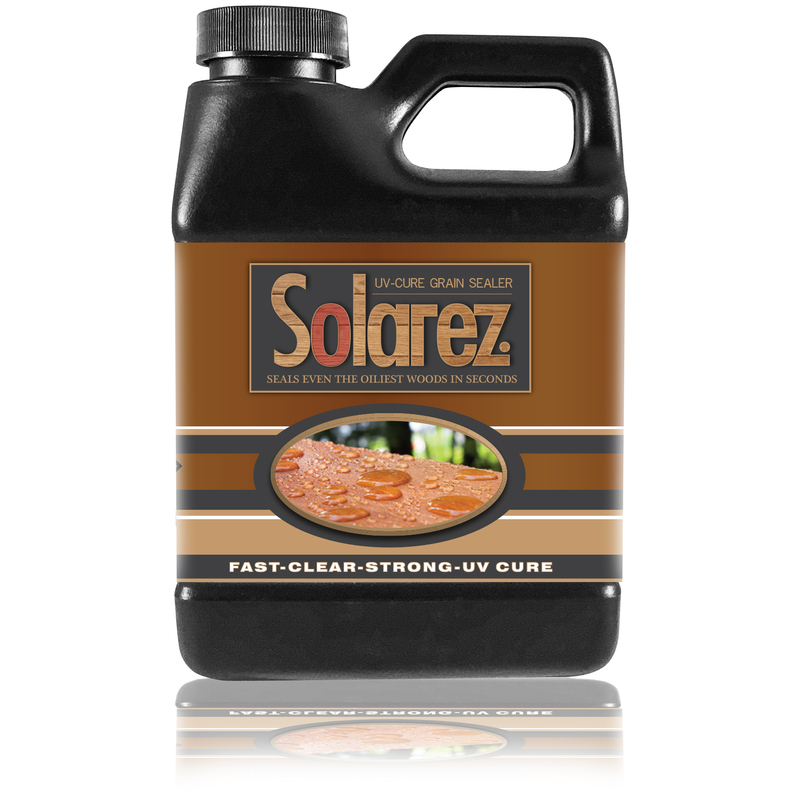 Solarez UV-cure grain filler and sealer reacts not by evaporation but by photochemical reaction and does so in 3-5 minutes, rather than hours. 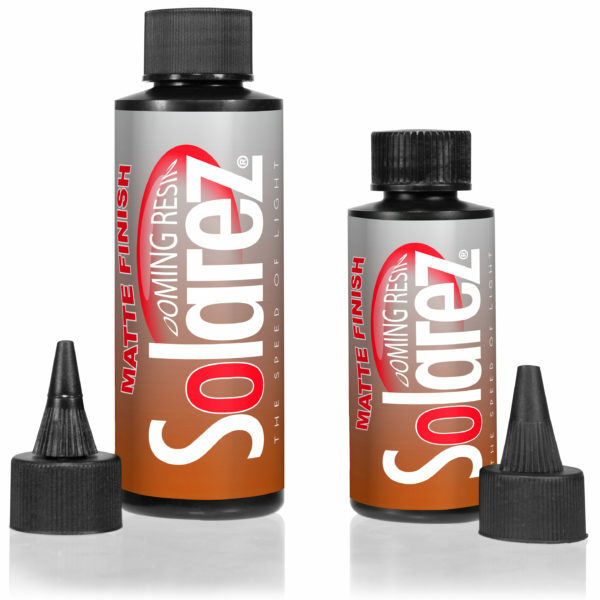 Solarez Grain Sealer was ranked in the top 10 of all wood fillers and epoxies. Check the review out here. Eco-Friendly Low VOC FREE formula! I’m still getting my moves down with the sealer but my initial impression is that it is a very good product. It is very thin and brushes on and squeegees off easily. It sands easily too which is always a good thing. My testing with this product so far is limited to mahogany and walnut and I’ve had good results so far with multiple coats to fill the deep pores. Because this stuff cures rapidly under UV light you can apply about 5 coats in the time it takes for one coat of paste filler to dry enough to be recoated. That means you can take a mahogany guitar body from raw to high gloss in about 3 hours. Crazy stuff. I used this product on both the hull and deck of a plywood paddle ski I just completed. The deck is so firm after 2 coats I will probably only fiberglass the hull now. I would get up early and apply a coat and then wait for the surise as I was working under a carport. I give this 5 stars because it is the fastest, easiest way to grain fill open grained wood for electric guitar bodies. What makes this so good for this purpose is the fact that you can put on a coat…pour in on and level with a credit card…or you can spay it on. (In my use I have found that it does not level very well when sprayed..I think it is too thick to “flow out” when sprayed. It will stiffen very quickly as you move it around with a spreader or credit card so you cannot overwork it…….But the great thing is it cures in under 3 minutes in direct sunlight. You can sand it down after this 3 minutes..It sands easily…Put on another coat..cure and sand until you get all the grains filled. If you have just a few spots still not filled just fill those spots…cure and sand. No problems with witness lines…If you are a guitar maker you will be thrilled with this. You body will be ready for the top coat in an afternoon. Well worth the price. product can be replaced into continer it came from (as long as it has not been exposed to UV). This makes for multiple uses. Cost effective. I have made several live edge cedar end tables, and have used Solarez Grain Sealer and High Gloss Polyester finish to to seal and finish the end tables. These products worked better than I expected. The dry time of the UV cure is approx 6 mins. I can finish my projects in one day versus several days of using varnishes. I’ve wasted so much time with other finishes for my cues. Customer for life! Everything about these products are superb! Thank you solarez!